Ich hatte mir das Buch gekauft, nachdem ich eine Besprechung davon gehört hatte. Es hat meine Erwartungen zwar nicht erfüllt, war aber ganz nett zu lesen. 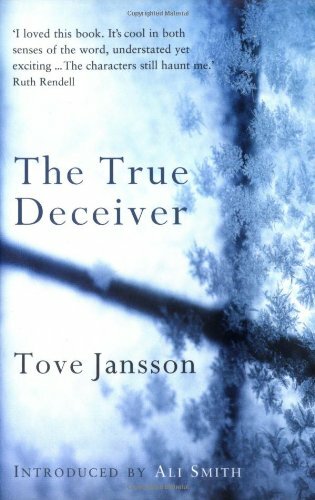 In the deep winter snow of a Swedish hamlet, a strange young woman fakes a break-in at the house of an elderly artist in order to persuade her that she needs companionship. But what does she hope to gain by doing this? And who ultimately is deceiving whom? In this portrayal of two women grappling with truth and lies, nothing can be taken for granted. By the time the snow thaws, both their lives will have changed irrevocably. Das Buch begleitet mich heute Abend zum BC-Treffen in der OBCZ im Westfalenhof. Schön, daß dieses Buch seinen Weg zu Dir gefunden hat. Über eine kurze Nachricht hier (die Du anonym hinterlassen kannst) wo das Buch ist, was mit ihm geschieht und wie es Dir gefällt, würde ich mich sehr freuen. 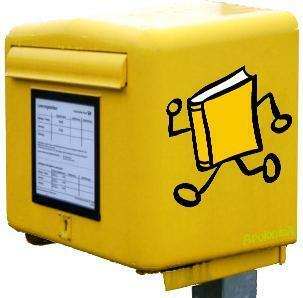 Denn das ist eines der tollen Dinge an BookCrossing, man hat die Chance nachzuverfolgen, wo ein Buch hinreist und wie es anderen gefällt. What a stunningly beautiful book! I'm so glad I read this, and I'll definitely need to have a deeper look into Jansson's adult fiction (which I wasn't previously aware of at all). Much as the ice-blue cover leads one to suspect, this is the perfect winter book, cold and clear (and four-fifths under water!) like an iceberg. The prose is crystalline and of a simple elegance, with a slow-moving plot like a glacier and characters that seem clear-cut and frozen in their ways. I wonder how many more images to go with the analogy I could fit in here -- let it suffice to say the season is not co-incidental here, and it works out beautifully. I felt a constant sense of threat, so this isn't exactly a happy book -- but at the same time, I fell quickly for the four protagonists, feeling I could understand and sympathise with all of them. Also, I am happy for the personal development they've taken; the ending is so open you cannot be sure it turned out well for all of them, but leaves room for hope that each could work the development to her/his own advantage. While this is a timeless and universal story about the human condition that would probably work anytime and anywhere, I had a hard time placing the setting temporally. The fact that boats are hand-made, there is only a single car and a single store for everything in the village, and that you can just dump rubbish on the ice makes me think this is set earlier than the time it was written (although probably not much, as there are telephones and tupper ware). One minor issue with the blurb on the back: The currency mentioned throughout the text are pennies and marks (not a krona in sight), so the action is likely not set in "a Swedish hamlet" but among the Swedish-speaking minority of Finland. I would love to know about the significance of a Swedish spelling reform that had w turn to v, apparently. Wikipedia tells me that both Swedish and Finish don't use w except in loan words and proper names, but the older use of w here is mentioned so frequently I feel it must be somehow relevant. Reserved as a wishlist tag for Arvores. I wonder if you'd like to have one of Anna's pictures of the forest floor as much as I do? I don't know why on earth I didn't make any JE to this book. It has arrived ages ago. Now I was trying to use it for the tag game and... Oh my! It's interesting how the author makes you think about your certainties, and the way you grow and change and loose yourself to structure a new personality, a new life, when touched by the lives of others. The book will be sent to mcsar today, after the wish list tag game. Thanks for tagging me with the book. I love The Summer Book and am very interested to read her novel. I loved the book. I loved Jansson's narrative style and how the tension is maintained throughout the novel. Reserved for crimson-tide as a wishlist tag. On the way to crimson-tide as part of the wishlist tag game. Enjoy! Tag caught! Thanks very much, mcsar. Reserved as a wish list tag. Wish list tag to jeniwren. Enjoy! So happy to have this gorgeous edition in my hands and the anticipation of another Tove Jansson to read. Thanks crimson-tide for granting my wish and lovely to read all the previous journal entries of this well travelled book.